On the 8th of July 1706 , an agent dispatched by Frederick I. King in Prussia arrived the allied army camp in the Spanish Netherlands. Here he met with John Churchill, Duke of Marlborough and commander of the allied military forces currently engaged in fighting the War of the Spanish Succession against Louis XIV of France. Frederick’s agent delivered a message to Marlborough, who was also one of the partners in the ruling duumvirate in England, that the King in Prussia wanted the removal of the current English ambassador from his court in Berlin. Frederick expressed to Queen Anne that he would, with her leave, recall his ambassador, so that she might do the same to Lord Raby (the English ambassador), and that he was desirous he might not go back to Berlin’. Frederick went on to state that ‘he has no objection to Lord Raby but his being so well with the Grand Chamberlain’s wife… that it gives him a ridicule all over the Empire’. Frederick’s desire to see Raby removed was clearly sincere, as while Marlborough was being asked to aid in the removal of Raby, other Prussian agents were asking the Dutch envoy whether he could intercede with the Grand Pensionary of the Dutch Republic and help procure Raby’s withdrawal. Thomas Wentworth, 3rd Baron Raby, the English ambassador in question had caused much offence in Berlin. This was as a result of his relations with the aforementioned wife of the Grand Chamberlain – Countess Katharina von Wartenberg. Katharina was the wife of Johann Kasimir Kolbe von Wartenberg, one of the most powerful men in Brandenburg-Prussia. He had risen to prominence and become the favourite of King Frederick, accumulating numerous offices in the process. By 1706 he was effectively prime minister of Brandenburg-Prussia, exercising a level of power and influence rarely delegated to favourites during the reigns of early modern Hohenzollerns. Successive generations of historians have also widely reported that the Countess Katharina was the mistress en titre of King Frederick I. They state that although he never engaged in a sexual relationship with the Countess, he took her as his mistress in order to imitate Louis XIV and the trend for mistresses prominently displayed at Versailles. The notorious Eduard Vehse stated that the pair would take strolls through the palace gardens at dusk, at which point the Countess was able to exercise her influence over Frederick. However Ines Elsner has brought this viewpoint into question, showing that there is little evidence to show that the Countess was neither Frederick’s lover nor the holder of the court title of mistress en titre. What is far less in doubt is that Baron Raby, the English ambassador to Berlin, had engaged in intimate relations with Countess Wartenberg. Rumours about the two abounded, and when the Countess gave birth to a son, the Prussian queen quipped that Raby had gifted Prussia with an Englishman. By June Marlborough could report that ‘the Countess of Wartenberg I hear is in disgrace’. While stating ‘whatever Lord Raby may write, I can assure you that he is so far from being well with the King, that he can forward nothing, but may spoil everything’. Raby’s intimate relations with Countess Wartenberg had soured his relations with Frederick, for it was said that Raby controlled the countess, and that she in turn controlled her husband. Consequently it was said that Wartenberg’s policies designed to serve English objectives, ‘rather then do what is the true interest of his master’. 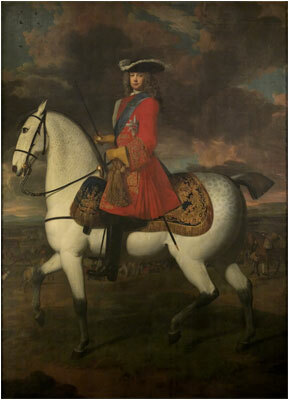 This was significant by 1706 for Frederick was growing weary of the on-going war of the Spanish Succession. He flirted with involvement in the east; hoping participation in the Great Northern War might bring him territorial acquisitions. Wartenberg however discouraged these designs and urged commitment to the west; partially because the subsidies that could only be provided by the Maritime Powers were required to maintain the lavish court to which Frederick had become accustomed. This allowed Wartenberg’s enemies to portray him as a ‘creature’ of England, whose policies were designed exclusively for the benefit of the Maritime Powers. The link was thus drawn from Raby, via Countess Wartenberg to the Grand Chamberlain himself and his pro-England policies. An elaborate plan was thus concocted, whereby Ezechiel Spanheim, Frederick’s ambassador in London would be recalled, in order to facilitate the withdrawal of Raby. Raby would be told of this when visiting Marlborough’s military headquarters far from Berlin. Spanheim would be reissued with new credentials to remain at the court of St. James, and Raby would not return to Berlin. The project for the removal of Raby was implemented in July of 1706, yet by October, in a series of events that shall shortly be assessed, Raby had returned to Brandenburg-Prussia. In an extraordinary audience he took with Frederick, Raby reported on the tremendous approbation he received. ‘The King said to me… he hoped I should not leave his court, for he would send monsieur Spanheim his credentials as ambassador on the purpose that that might have the influence of keeping me here… I owned to his majesty … t’was very agreeable to me to hear from his majesty himself that he continued the same good opinion of me he ever had, and that he had a particular consideration & esteem for me… But I begged of him not to think of sending monsieur Spanheim his credentials again upon my account since his majesty was pleased to tell me t’was for that reason alone’. In the wake of this audience with the king, Raby’s report was somewhat corroborated when Frederick dispatched letters to Spanheim, Marlborough and Queen Anne, asking all of them to work for the preservation of Raby in Berlin. Frederick further threatened that should Raby not remain as ambassador, that he would in turn withdraw his own ambassador from London. In the course of four months Frederick had undergone a dramatic reversal and it is pertinent to ask what it was that brought about this change of course. Numerous historians have offered their assessments; William Coxe attributes agency to Marlborough, stating that his military victories cowed Frederick and that Marlborough then worked to restore Raby. Carl von Noorden states that it was Wartenberg’s recovery of influence that facilitated Raby’s continuation in Berlin. Linda and Marsha Frey assert that it was Raby’s close personal friendship with Frederick that halted the attempts of a court cabal to remove him. Ulrich Naujokat meanwhile proffers English domestic politics as the explanation for Raby’s continuation in Berlin. None of these explanations is quite satisfactory and instead an alternative will be offered. Here attention should be paid to the overall theme of Anglo-Prussian relations during the reign of Prussia’s first king. Frederick and his ministers consistently utilised relations with other European dynasties in order to produce their royal rank in the wake of the Königsberg coronation of 1701. Relations with the Stuart monarchs of England, Ireland and Scotland were particularly prominent in this regard. The House of Hohenzollern was acutely aware of those acts and markers that produced royal status before the pan-European society of princes and it is here that the explanation for the conclusion of the 1706 Raby crisis lies. When Frederick placed the newly fashioned Prussian royal crown atop his own head at the Königsberg coronation ceremony of 1701, he sought to transform himself from Frederick III. Margrave and Elector of Brandenburg into Frederick I. King in Prussia. With this act Frederick sought to assert his position within a system of European diplomacy and princely relations undergoing transition. The old hierarchical system of relations was slowly being eroded and replaced with a bipartite system, in which one was either to be regarded as sovereign or subject. Barbara Stollberg-Rilinger has termed the superior group as ‘the circle of sovereigns’. This was a group in which the ideas of sovereignty and dignity (often royal) intersected. 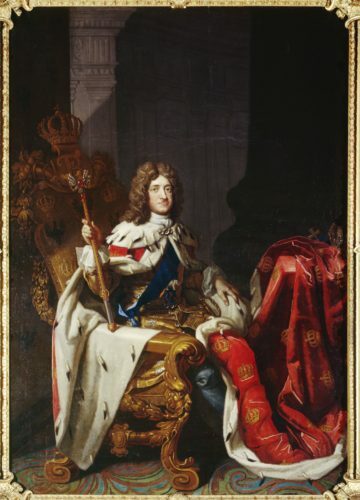 Frederick’s self coronation and claim to royal status was designed to facilitate his ascension into the superior group within this bipartite system. However as one of his ministers wisely opined ‘it is not enough merely to be crowned, one must also secure the recognition that one has become King’. Which actions produced royal status and facilitated a ruler’s membership within the circle of sovereigns? One of the primary ways through which this was achieved was through the rank of diplomatic agents present at a ruler’s court. As the two groups that would constitute the bipartite system began to emerge in the seventeenth century there had been many normative texts produced on diplomatic theory. These had set down the ground rules for interactions between European princes. On the issue of ambassadors they stated that only sovereigns had the right to send and receive ambassadors. And as one English theorist commented ‘none can send any under that title (ambassador) unless he be a sovereign prince: there is no subject capable to send or receive any ambassador’. Frederick realised the role that the rank of diplomatic agents accorded to his court could play in producing his royal rank. He wished to receive foreign ambassadors, as those other rulers who had successfully produced their sovereign status within the European society of princes did. As such he agitated for the promotion of Baron Raby from the rank of envoy, which he had held since 1703, to ambassador. Furthermore he made Raby’s duties in Berlin more onerous due to his lower rank, particularly from a ceremonial standpoint; this was done in order to force Raby’s elevation. Commenting on one of these issues Raby stated ‘the changing of my character… will put an end to that matter’. Frederick’s strategy paid off and Raby was elevated to the rank of ambassador in July of 1705, after which Raby reported on Frederick’s satisfaction. Raby made his formal entry to Berlin as ambassador in April of 1706. An English ambassadorial appointment was particularly pleasing, as representatives with this rank were made only sparingly, and only to those who had very clearly produced their sovereign status within the society of European princes. Once Baron Raby had been installed as English ambassador, Frederick was keen to preserve an ambassadorial presence at the Hohenzollern court. In general there were two types of ambassadorial appointments. Those of a longer term, who were usually succeeded by representatives possessing the same exalted rank, and those who were granted the lofty rank of ambassador temporarily or merely for special missions. The latter type had been utilised on many previous occasions. English representatives were appointed as ambassadors in order to bestow the Order of the Garter upon the Electors of Saxony and Brandenburg in the seventeenth century. Yet once their brief missions were completed these agents either resumed their former character or left the respective courts altogether. These two types of ambassadorial appointment reflected the rank of the two types of ruler. Either sovereign kings and republics or non-sovereign rulers of lowlier rank. 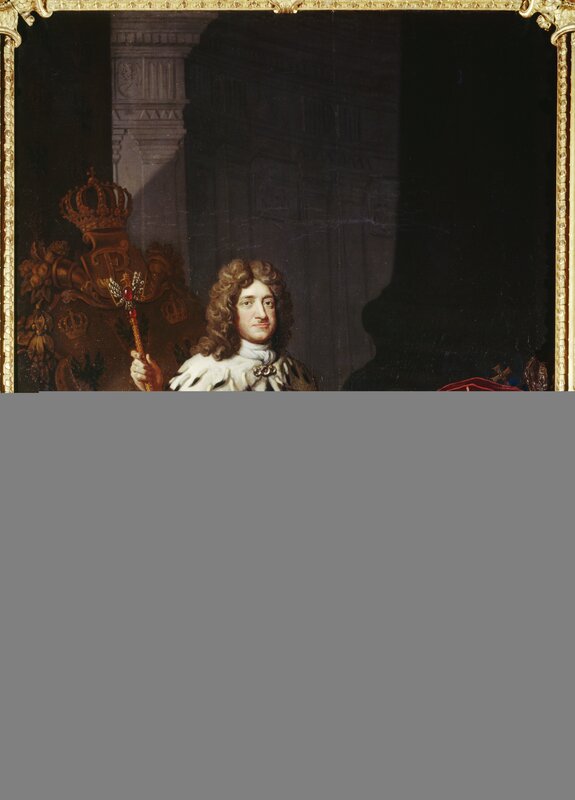 Frederick desired a constant ambassadorial presence in order to produce his royal status, and facilitate his admission into the emerging group of sovereigns. However once Raby had made his public entry as ambassador, events began to play out that made his position rather precarious. Firstly Raby had become a much-disliked figure by many involved with the Berlin court. At the beginning of the campaign season of 1706 Frederick had been loath to recommit his troops to the allied war effort, citing complaints over pay, quarters and incompetent allied generalship. Raby had been tasked with securing Frederick’s troops, however his ineffectual handling of the matter had earned him the displeasure of Marlborough and the other leading English minister – Sydney Godolphin. Raby’s close relationship to the Grand Chamberlain – Count von Wartenberg had also aroused hostility from the court faction opposed to him, and headed by the Crown Prince. Lastly, as already mentioned, Raby’s affair with the Countess Wartenberg had also brought him the ire of Frederick. The summer saw Frederick and the court disperse from Berlin and begin a peripatetic few months, travelling round the various Hohenzollern palaces and abroad. Raby on the other hand went to Marlborough’s army camp in the Low Countries. It was here that in August Raby received orders that circumstances did ‘render it impracticable for your Excellency to return to Berlin’. However Raby was instructed to make for Vienna where he would be appointed envoy to the Emperor. Once Raby had been informed of his recall, discussions started as to who should replace the departed Baron in Berlin. Marlborough and Godolphin had often discussed this issue, when it had become clear Raby had fallen into disfavour with Frederick, and his failure to procure the timely dispatch of Prussian troops had made him appear ineffective to the duumvirate. Godolphin asked Marlborough ‘who should succeed Lord Raby if recalled. You know he was only made ambassador only to gratify the King of Prussia, so that her majesty will have no great difficulty complying with what you would have done in this thing’. Marlborough replied ‘if there should be a necessity of recalling Lord Raby, an envoy would be sufficient for that court’. To which Godolphin responded ‘in case you are for recalling him, the Queen will send no more than an envoy to that court’. An English Member of Parliament wrote to Godolphin about the upcoming vacancy, putting forth his son Daniel Pulteney as a prospective candidate. He concluded his letter ‘I do not think it reasonable that this change, if Her Majesty consent, should be any extraordinary charge to the Crown, and I am well content to bear the expense. Further indicating that Raby’s replacement would possess the rank of envoy, for it is highly unlikely that his father would have been willing to pay the considerably higher allowance and equipage costs for his son. A contemporary English diarist even commented upon the news circulating around London that ‘Mr Poultney envoy in Denmark, is to succeed his lordship at Berlin’. Most importantly Spanheim informed Frederick that Pulteney would replace Raby and that there was talk, he would be of the rank of envoy. While through his domestic contacts Raby also knew of the reduced status his successor would bear. Raby meanwhile had been ordered not to return to Berlin but to instead head to Vienna, for which he had been issued credentials as envoy to the Emperor. Nonetheless Raby disobeyed commands and did everything possible to return to Brandenburg-Prussia and take an audience with Frederick. He used numerous ludicrous requests as a delaying tactic, stating he would not venture to Vienna until his propositions were answered. He was successful, and returned to Charlottenburg to take a private audience in the king’s bedchamber on the 19th of October 1706. This was the audience at which Frederick said such obliging things to Raby and underwent his dramatic reversal, after which he produced letters to Spanheim, Marlborough and Queen Anne, all asking for the preservation of Raby. Yet these letters did not solely ask for Raby to remain, but rather they insisted he remain with the rank of ambassador. Moreover they threatened to recall the Prussian ambassador to Anne if this condition was not met. Numerous contemporaries commented upon this interesting content. Godolphin informed Marlborough that, ‘Monsieur Spanheim has new credentials of ambassador, conditionally that my Lord Raby remain at Berlin in the same character’. Other English ministers discussed the ‘extraordinary credential Monsieur Spanheim has for resuming his character if Her Majesty will declare Lord Raby shall continue the same he has with His Prussian Majesty’. While a contemporary diarist commented ‘Baron Spanheim, the Prussian ambassador here, by his new credentials is only limited to continue with that character as long as the lord Raby stays at Berlin with the same’. Clearly the reversal, and decision to maintain Raby at his posting in Berlin was not one undertaken from the English side, as some such as Naujokat and Coxe have suggested. The letters exchanged between English ministers are revealing of this, Harley asked Raby to ‘discover the true source of this sudden turns of late in the court of Berlin concerning your Excellency and Monsieur Spanheim’. Marlborough meanwhile commented on Frederick’s ‘fickle temper’. While Godolphin asked Marlborough ‘to unriddle this mystery and tell us what is to be done with people that are so wavering and uncertain’. It is impossible to know what truly occurred during the private audience in the king’s bedchamber, nor may we ascertain the extent to which Raby may have exaggerated the king’s words. But from the evidence produced afterwards some conclusions can be drawn. Raby was aware of Frederick’s desire to have an English ambassadorial presence in Berlin. This was so that Frederick could produce his new royal rank through the rank of diplomatic representatives at his court. Raby was to suffer a demotion, and be sent to Vienna as envoy, a prospect about which he was far from thrilled. Both Raby and Frederick became aware that Raby’s successor would bear the rank of envoy. Raby’s ambassadorial appointment would thus have lasted a mere four months and have been more in keeping with those temporary postings sent to minor princes. It is therefore probable that the issue of rank was discussed at the October audience, and that this helped bring about Frederick’s reversal. Here the interests of both Raby and Frederick intersected. Frederick thus issued his letters where he threatened to punish Anne and her ministers, if Raby was replaced by an envoy, by in turn recalling his ambassador from London. Needless to say this would have constituted a rather drastic move between two allies during a key period of the on-going War of the Spanish Succession. Particularly as the 25,000 troops Frederick had serving in various allied contingents had only recently re-joined the fray, while the treaty that committed 8,000 Prussian troops to allied forces in northern Italy was shortly due to expire. But whilst Frederick was willing to punish behaviour that would hinder the production of his royal status he was also ready to reward actions that aided in the production of it. Between the 2nd and 9th of November Raby was instructed to remain in Berlin with the rank of ambassador. Frederick reacted positively; on the 24th of November a Prussian envoy agreed terms with Marlborough for the renewal of the Italian Treaty. This committed 8,000 hardy and much praised Prussian troops to allied service in northern Italy for another year, something that had often looked doubtful throughout the summer. Marlborough was pleased and in a letter to Raby deemed it ‘an instance of the good humour you tell me the King is in’. Raby drew the link explicitly ‘I hope it is pretty evident since my return hither her Majesty’s service has not suffered and this court has done what could be desired of them both in the continuation of the troops in the low countries and renewing their treaty for those they have in Italy’. Raby also explained that Frederick had pledged to deliver ‘four thousand horse as an addition to the troops they have in the Netherlands’, as a mark of his satisfaction. Here Frederick had utilised Anglo-Prussian relations as a means through which to produce his royal rank. This was a prominent theme that was to reoccur within Frederick’s interactions with Queen Anne and her ministers. Frederick was willing to jeopardise functional relations with a wartime ally, to cajole and threaten to punish. But he was also willing to reward service that aided in the production of his royal rank, and to put aside personal animosities in order to do so. Here Frederick and his ministers effectively instrumentalised Anglo-Prussian relations as a means to aid in the production of Frederick’s status as sovereign King in Prussia, through the rank of those diplomatic agents accorded to him. This was to be a strategy repeated many times over the course of Frederick’s reign, particularly in relation to England. Ultimately this policy would contribute towards the widespread recognition of the Prussian royal title in 1713 / 1714 and the successful ascension of Hohenzollern rulers into the circle of sovereigns. During the early eighteenth century the British used the Julian calendar while most of continental Europe used the Gregorian, as a result the British were eleven days behind their counterparts in Prussia and elsewhere. Here I give all dates according the Gregorian calendar, for the sake of clarity. Marlborough to Godolphin, 08.07.1706, The Marlborough – Godolphin Correspondence, H. L. Snyder (ed. ), Vol. 2, (Oxford: University Press, 1975), p. 603. Lintelo to Heinsius, 08.05.1706, De Briefwisseling Van Anthonie Heinsius 1702-1720, A. J. Veenendaal (ed. ), Vol. 5, (’s-Gravenhage: 1983), p. 224. Klaus-Ludwig Feckl, Preußen im Spanischen Erbfolgekrieg, (Frankfurt am Main: Lang, 1979), p. 210. Linda Frey and Marsha Frey, Frederick I. The Man and His Times, (Boulder: East European Monographs, 1984), p. 194. Eduard Vehse, Geschichte des preußischen Hofs und Adels und der preußischen Diplomatie, Vol. 2, (Hamburg: Hoffman und Campe, 1851), p. 18. Ines Elsner, Friedrich und die Frauen. Von drei Ehefrauen und einer Mätresse, die keine war, in: F. Windt (ed. ), Preußen 1701. Eine europäische Geschichte, (Berlin: Henschel, 2001), pp. 79-89. Michael Charlesworth, Lord Raby in Berlin: Art, Architecture and Armour, in: P. Eyres & J. Lomax (eds. ), Diplomats, Goldsmiths and Baroque Court Culture: Lord Raby in Berlin, The Hague and at Wentworth Castle, 1701-1739, (Barnsley: Wentworth Castle Heritage Trust, 2014), pp. 37-39. Ulrich Naujokat, Mylord Raby – Ein englischer Lebemann als Diplomat am Hofe Friedrichs I., in Preußen und Preußentum vom 17. Jahrhundert bis zur Gegenwart, Ernst Opgenoorth and others (eds. ), (Berlin: Verlag Spitz, 2002), p. 77. Marlborough to Harley, 24.06.1706, The Letters and Dispatches of John Churchill, First Duke of Marlborough, from 1702 to 1712, G. Murray (ed. ), Vol. 2, (London: Murray, 1845), p. 628. Marlborough to Godolphin, 07.06.1706, The Marlborough-Godolphin Correspondence, H. L. Snyder (ed. ), Vol. 1, (Oxford: University Press, 1975), p. 564. Marlborough to Godolphin, 31.05.1706, The Marlborough-Godolphin Correspondence, Vol. 1, (Fn. 11), p. 555. Naujokat, Mylord Raby, (Fn. 9), p. 80. Raby to Harley, 19.10.1706, The National Archives, SP 90/4. Frederick to Anne, 19.10.1706, Frederick to Marlborough, 20.10.1706, Frederick to Spanheim, 20.10.1706, Geheimes Staatsarchiv Preußischer Kulturbesitz, I. HA. Rep. 11, Auswärtige Bezie-hungen, 1850. William Coxe, Memoirs of John, Duke of Marlborough, with His Original Correspondence: Collected from the Family Records at Blenheim, and Other Authentic Sources, Vol. 2 (London: Longman, Hurst, Rees, Orme & Brown, 1820), pp. 364, 602-603; Vol. 3, pp. 180-181. C. V. Noorden, Die preußische Politik im spanischen Erbfolgekriege, Historische Zeitschrift, Vol. 18, No. 2 (1867), pp. 322-324. Linda Frey and Marsha Frey, Frederick I: The Man and His Times, p. 205; Linda Frey, Anglo-Prussian Relations, 1703-1708; Thomas Wentworth, Baron Raby’s Mission to Berlin, Ph.D. diss., Ohio State University, 1971, pp. 254-256. Ulrich Naujokat, England und Preußen im spanischen Erbfolgekrieg (Bonn: Holos, 1999), pp. 147-150. Abraham de Wicquefort, The Embassador and his Functions, J. Digby (Trans. ), (London, Bernard Lintott, 1716), pp. 225-226. Barbara Stollberg-Rilinger, Höfische Öffentlichkeit. Zur zeremoniellen Selbstdarstellung des brandenburgischen Hofes vor dem europäischen Publikum, Forschungen zur brandenburgischen und preußischen Geschichte, Vol. 7, No. 2 (1997), pp. 148-150. Heinrich Rüdiger von Ilgen, 11.11.1700, quoted in Stollberg-Rilinger, Höfische Öffentlichkeit (Fn. 22), p. 172. Wicquefort, The Embassador and his Functions (Fn. 21), pp. 7, 44-46. James Howell, A Discourse Concerning the Precedency of Kings, (London: Reynolds, 1664), p.185. Raby to Harley, 10.12.1704, The National Archives, SP 90/3. Raby to Harley, 11.04.1705, 26.05.1705, The National Archives, SP 90/3. Raby to Harley, 25.07.1705, The National Archives, SP 90/3. George Tilson to Mr Tucker, 13.04.1706, The National Archives, SP 90/4; C. E. Doble, Letters of the Rev. William Ayerst, 1706-1721, The English Historical Review, Vol. 3, No. 12 (1888), p. 757-759. David B. Horn, The British Diplomatic Service 1689-1789, (Oxford: Clarendon Press, 1961), p. 45; David. B. Horn, British Diplomatic Representatives 1689-1789, (London: Royal Historical Society, 1932). H. L. Snyder, The British Diplomatic Service during the Godolphin Ministry, in Studies in Diplomatic History; Essays in Memory of David Bayne Horn, Ragnhild Marie Hatton and M. S. Anderson (eds. ), (London: Longman, 1970), p. 66. William Roosen, Early Modern Diplomatic Ceremonial: A Systems Approach, The Journal of Modern History, Vol. 52, No. 3 (1980), p. 473; C. H. Firth and J. F. Chance, Notes on the Diplomatic Relations of England and Germany, (Oxford: B.H. Blackwell, 1907), p. 32; Gregory King and James Johnston, An Account of the Ceremony of Investing His Electoral Highness of Brandenburgh with the Order of the Garter: Perform’d at Berlin on the 6th of June, 1690, (London: Chiswell, 1690). Marlborough to Godolphin, 11.06.1706, The Marlborough-Godolphin Correspondence, Vol. 2 (Fn. 2), p. 571. Marlborough to Godolphin, 31.05.1706, The Marlborough-Godolphin Correspondence, Vol. 1 (Fn. 11), p. 555. Raby to Harley, 24.04.1706, 01.05.1706, 15.05.1706, 18.06.1706, 03.07.1706, The National Archives, SP 90/4. Harley to Raby, 17.08.1706, The National Archives, SP 104/51. Godolphin to Marlborough, 20.05.1706, The Marlborough-Godolphin Correspondence, Vol. 1 (Fn 11), p. 542. Godolphin to Marlborough. 6.06.1706, The Marlborough-Godolphin Correspondence, Vol. 1 (Fn. 11), p. 562. J. Pulteney to Godolphin, 9.10.1706, The Manuscripts of His Grace the Duke of Portland, Vol. 4, (London: Eyre & Spottiswoode, 1897), p. 333. David B. Horn, Rank and Emolument in the British Diplomatic Service 1689-1789, Transactions of the Royal Historical Society, Vol. 9 (1959), p. 24. Narcissus Luttrell, A Brief Historical Relation of State Affairs from September 1678 to April 1714, Vol. 6, (Oxford: The University Press, 1857), p. 97. Spanheim to Frederick, 21.10.1706, Geheimes Staatsarchiv Preußischer Kulturbesitz, I. HA. Rep. 11, Auswärtige Beziehungen, 1850. He revealed to Marlborough that he knew of his replacement on 02.11.1706, Raby to Marlborough, British Library, ADD. MS. 61138; Raby to Craggs, 09.11.1706, British Library, ADD. MS. 22196. Raby’s credentials to the Emperor, 29/08/1706, The National Archives, SP 104/203; Orders not to return to Berlin, Harley to Raby, 31.08.1706, The National Archives, SP 104/51. Harley to Raby, 07.09.1706, & 17.09.1706, The National Archives, SP 104/51. Raby to Harley, 26.08.1706 & 10.10.1706, The National Archives, SP 90/4. Godolphin to Marlborough, 22.10.1706, The Marlborough-Godolphin Correspondence, Vol. 2 (Fn. 2), p. 720. Hedges to Harley, 02.11.1706, The Manuscripts of His Grace the Duke of Portland, Vol. 4 (Fn. 40), p. 339. Luttrell, A Brief Historical Relation of State Affairs, Vol. 6 (Fn. 42), p. 101. Harley to Raby, 26.11.1706, The National Archives, SP 104/51. Marlborough to Godolphin, 01.11.1706, The Marlborough – Godolphin Correspondence, Vol. 2 (Fn. 2), p. 719. Godolphin to Marlborough, 02.11.1706, The Marlborough – Godolphin Correspondence, Vol. 2 (Fn. 2), p. 720. Raby to Harley, 10.10.1706, The National Archives, SP 90/4. Hedges to Raby, 02.11.1706 & 09.11.1706, The National Archives, SP 104/51. Victor Loewe, Preußens Staatsverträge aus der Regierungszeit König Friedrichs I., (Leipzig: S. Hirzel, 1923), pp. 79-80. Raby to Harley, 08.05.1706, The National Archives, SP 90/4. Marlborough to Raby, 14.12.1706, The Letters and Dispatches of John Churchill, Vol. 3, p. 240. Raby to Harley, 11.12.1706, The National Archives, SP 90/4. Raby to Harley, 06.11.1706, The National Archives, SP 90/4. Diesen Artikel zitieren: Crawford Matthews, The Production of Royal Rank through Ambassadorial Presence: Frederick I. and the Utilisation of Anglo-Prussian Relations, in: Texte des RECS #8, 31/07/2017, https://recs.hypotheses.org/1520. Dieser Eintrag wurde veröffentlicht in T-RECS und verschlagwortet mit 18. Jahrhundert, Brandenburg, Diplomatiegeschichte, England, Friedrich III./I., Preußen von Truc Vu Minh. Permanenter Link zum Eintrag.